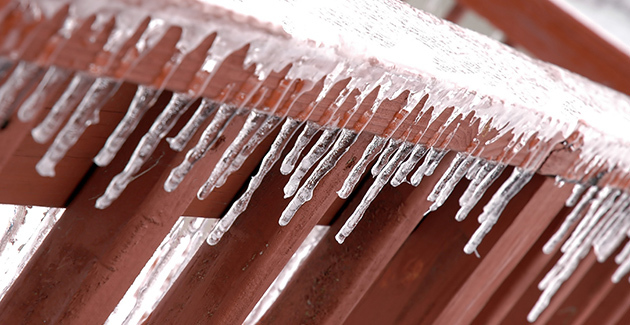 Winter brings its share of challenges for Chicago landlords and property managers. Ensuring safety and comfort for tenants in your apartment buildings should be at the top of a landlord’s checklist in winter. It’s not always the easiest work for apartment managers, but it makes you appreciate the glory of Chicago summers that much more. Speaking of safety, you’ll want to make sure you have a solution in place for clearing ice from all walkways on or near your property. Regular rock salt is the default method for melting ice, but it poses a few challenges. Brine and slush can get tracked back into building common areas, and if you manage a pet-friendly property, then Fido’s paws may be left stinging from salty walkways. Ouch! Is there any other way to handle slippery, icy sidewalks during the Chicago winter? Is There Something Beside Salt that Can Melt Ice on Sidewalks? There are a number of de-icing alternatives for landlords who need to clear the snow and ice from the sidewalks near their apartments. Some are more technical, and thus harder to find, than others. But something in this range of alternatives should work for landlords who want to keep their sidewalks and walkways ice-free this winter. Natural and abundant, this is one eco-friendly alternative to salt that property managers can spread over frozen areas. It provides traction without contributing chloride to Chicago waterways, and it won’t corrode the bottom of vehicles or sting pet’s paws when they walk over it. It can be tricky to stop sand from getting everywhere, though. Be mindful of this if you have delicate hardwood floors in your building. Calcium chloride is a liquid substance that provides instant melting of ice down to -13 degrees Fahrenheit. Sodium chloride, more commonly known as rock salt, is a bulk product that’s easy to find and will melt ice over a longer period of time. It typically takes rock salt about 25 minutes to melt snow in temperatures just below freezing. For properties with a north-facing exposure that get little sunlight during the winter months, consider applying calcium chloride solution for an instant melt on extremely cold days. Properties with lots of ground to cover are better off sticking with rock salt. Property managers can make their salt stockpile go farther by purchasing salt that’s been treated with calcium chloride or magnesium chloride. These substitutes help lower the freezing point and quickly melt ice in sub-zero conditions, but they are more corrosive than plain salt, so keep that in mind before applying to concrete or metal surfaces. One novel approach to getting the most out of your salt stockpile is to treat it with another substance that lowers the freezing point of ice. You can make your salt super-powered by treating it with calcium chloride, or take a natural approach with fruit byproducts like beet juice. And as a bonus, this natural method of lowering the freezing point might give landlords the excuse to use that juice press that they received as a gift oh-so-many seasons ago. The City of Chicago has used salt treated with beet juice because it’s full of sugars and helps lower the freezing point of ice. You can use molasses or another sugary substance to get the job done if you’re looking for a DIY solution. Keep in mind that there are specific requirements for clearing snow from your Chicago property. You can read an in-depth summary on Chicago's snow removal law, or go to the City of Chicago's website for more information. The basic tip to keep in mind: clear snow liberally but relocate it judiciously. And in case you’re wondering, the City of Chicago DOES have the authority to issue citations for failure to remove snow from sidewalks. With fines up to $500 per day, it’s wise to tackle snow as soon as possible and avoid costly citations. Make sure to remove snow no later than 10 p.m. for snow that fell that same day, or by 10 a.m. the morning after an overnight snowfall.